The Istanbul Metropolitan Municipal Assembly announced this week that all public transportation in the city will be discounted 50 percent during the upcoming Ramadan holiday. The discount will run from Friday, June 15, at 6 a.m. to Sunday, June 17, at midnight. It applies to all public transportation in Istanbul, including public buses, metrobus, public ferry lines, metro, tramway and funicular. The municipality extended the measures to help residents travel to visit family and friends and to reduce traffic during the holiday weekend. Most bridges and tunnels - including 15 July Martyrs Bridge, Yavuz Sultan Selim Bridge, Osmangazi Bridge and the Eurasia Tunnel - are not included in the discount, however. 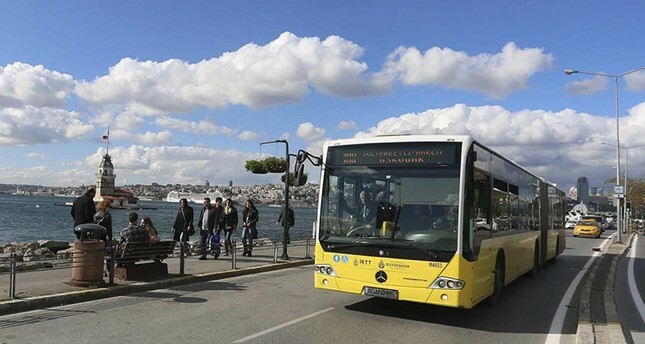 The assembly also approved measures to allow students traveling to their Higher Education Institutions Examinations (YSK) to use public transportation free of charge. Students can travel free from June 30 to July 1 by showing their exam documents to the public transportation officials. Free transport will apply to all public transportation lines included in the Istanbulkart.